There are many advantages to living in a state with four seasons. As I’ve mentioned before, autumn is by far my favorite season. I also like winter – I am one of those strange people who actually gets excited when a heavy snowfall is predicted. But just when I think I can’t handle the cold anymore, it’s time for the season to change. Spring is such a special time of new growth, new beginnings, and a promise of warm weather to come. And, of course, spring is when we celebrate important the Easter holiday. As much as I love spring flowers, pastel colors and cute little bunnies, the most important part of Easter for me is the celebration of the death, burial and resurrection of my Savior, Jesus Christ. This is a time for reflection on all that Christ has done for me and to remember the ultimate sacrifice He made so those who believe in Him will have eternal life with Him. Hallelujah! But as I said, I also love bunnies, baby chicks and all the fun elements of this important holiday. 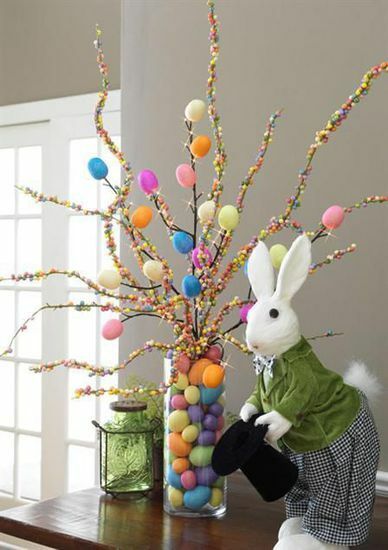 Having said that, Dawn and I have picked some of our favorite ideas for decorating and celebrating all things Easter. 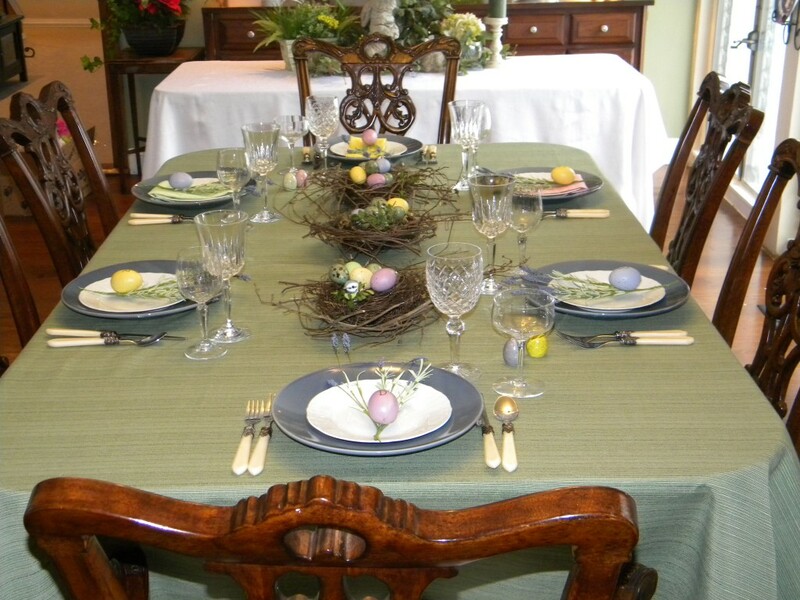 Whether you celebrate the holiday with lunch or dinner, there are many beautiful ways to set your Easter table. 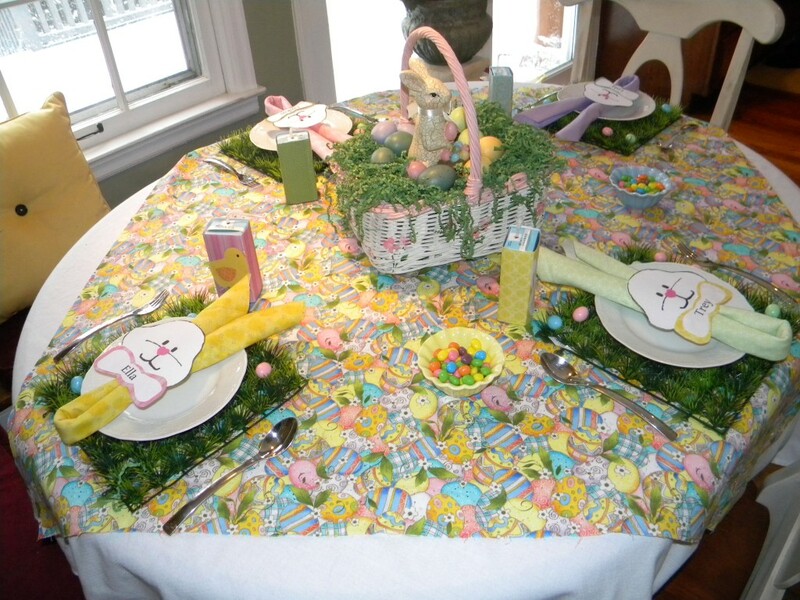 A couple of years ago, Dawn and I had so much fun setting this kids’ Easter table. 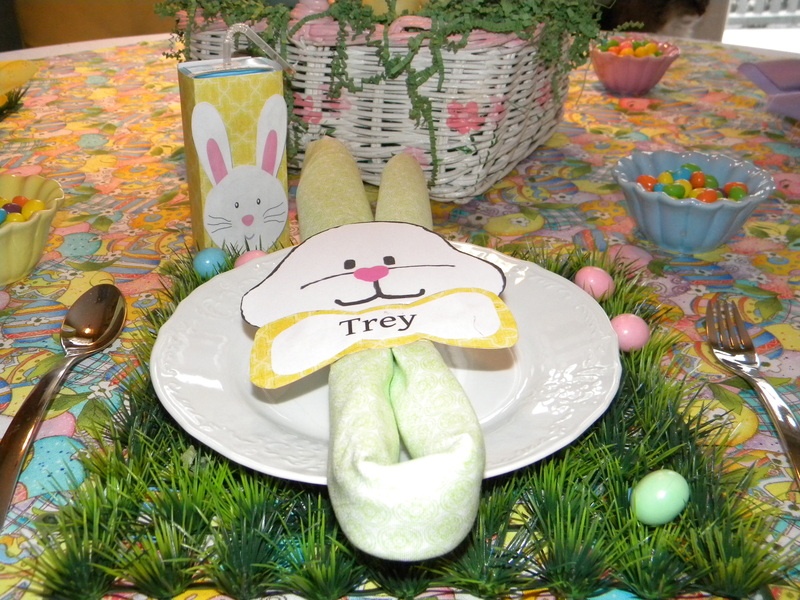 Our grandkids loved all the special touches designed just for them. 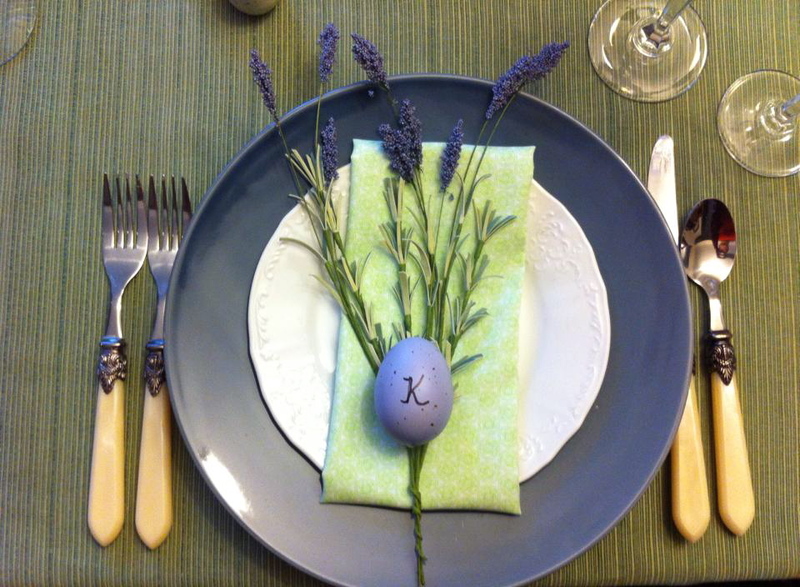 There are many different directions you can go when decorating a table. Earthy and organic, whimsical, traditional or somewhere in between. 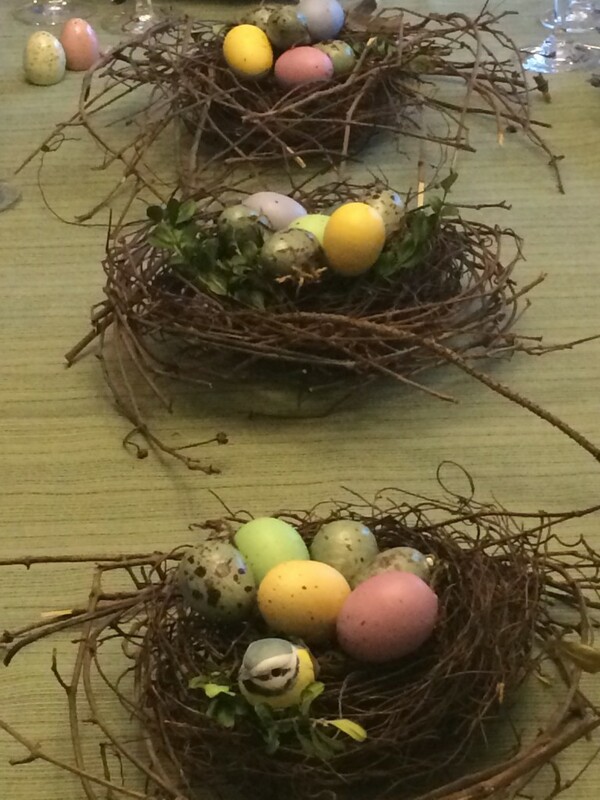 Our Easter table for the adults featured birds’ nests with colorful eggs. It was simple but elegant. 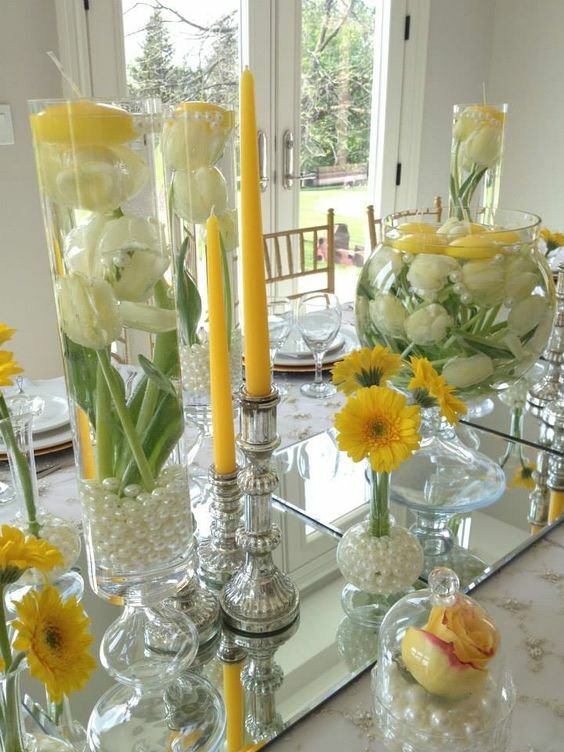 We love this classic table highlighting yellow spring flowers, silver and glass. 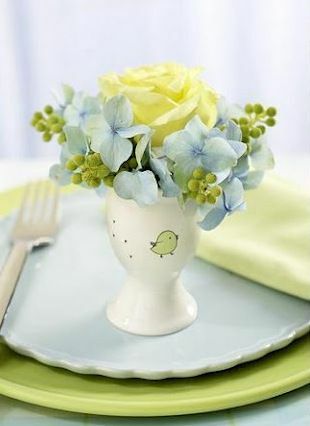 What better Easter flower vase than an egg cup? 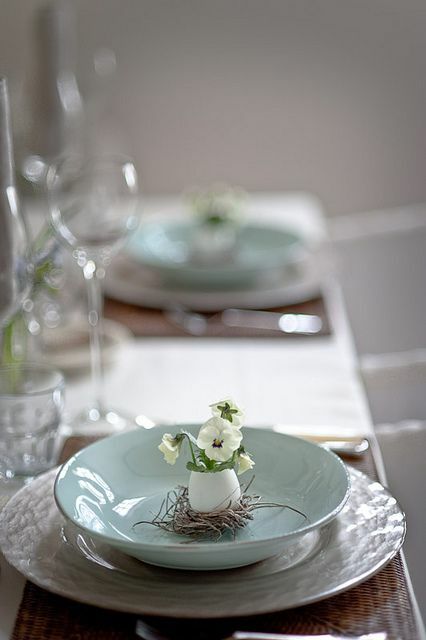 Use them to make individual place settings and you’re sure to get a “wow” from your guests. 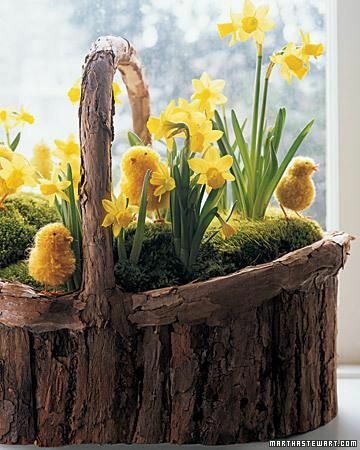 This adorable basket is filled with daffodils and baby chicks. Can’t get any cuter than that! 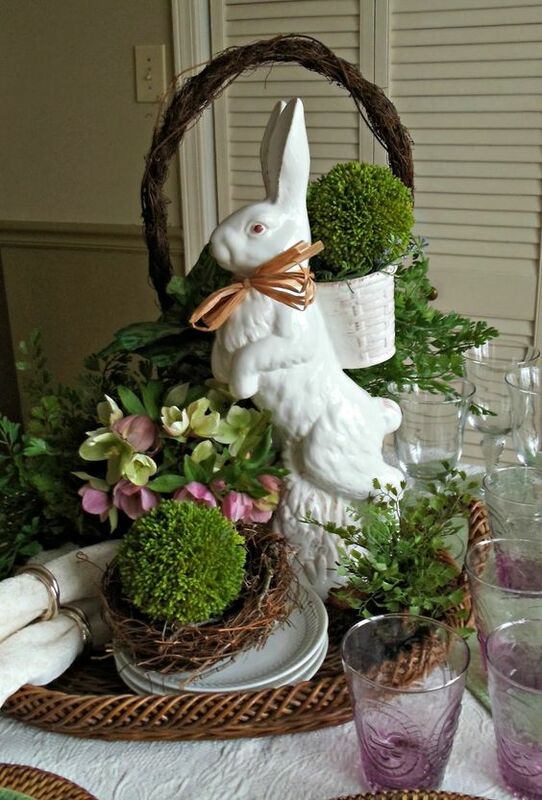 This centerpiece is a beautiful blend of whimsical and organic. 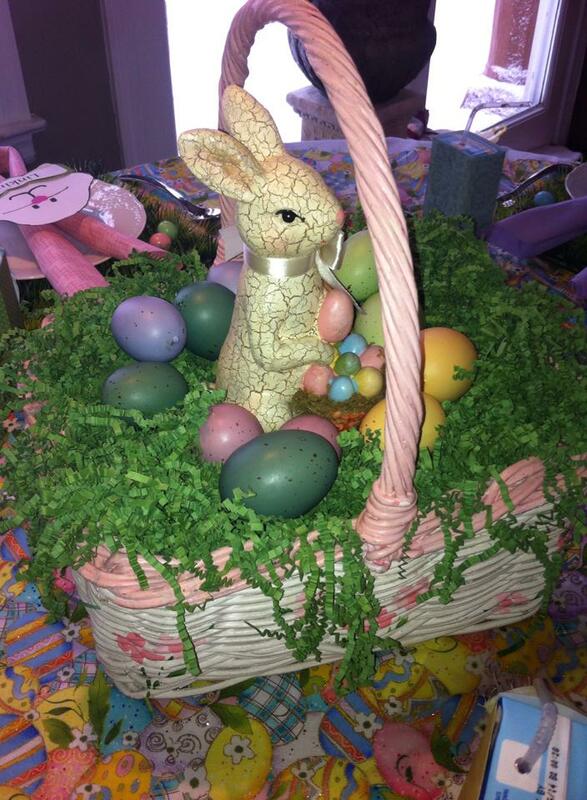 The ceramic Easter bunny combined with twigs, flowers and moss is stunning. 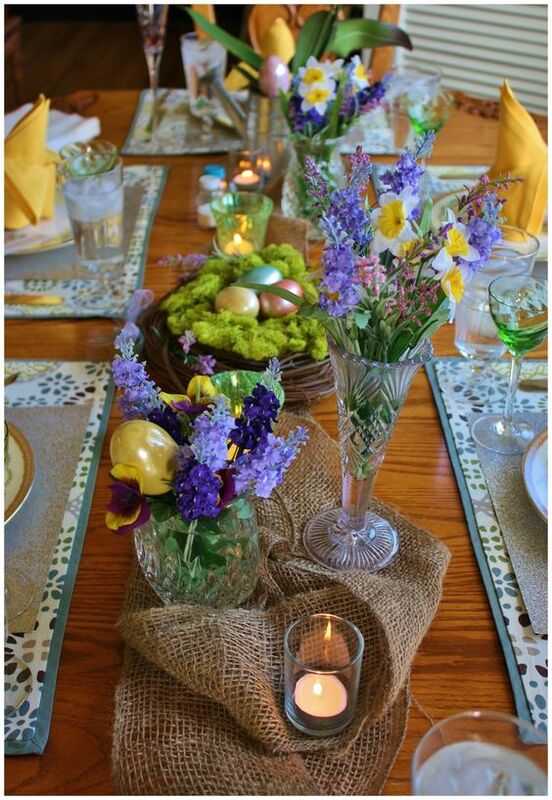 Colorful spring flowers set the stage for this eclectic tablescape. The burlap runner adds a rustic touch as well. 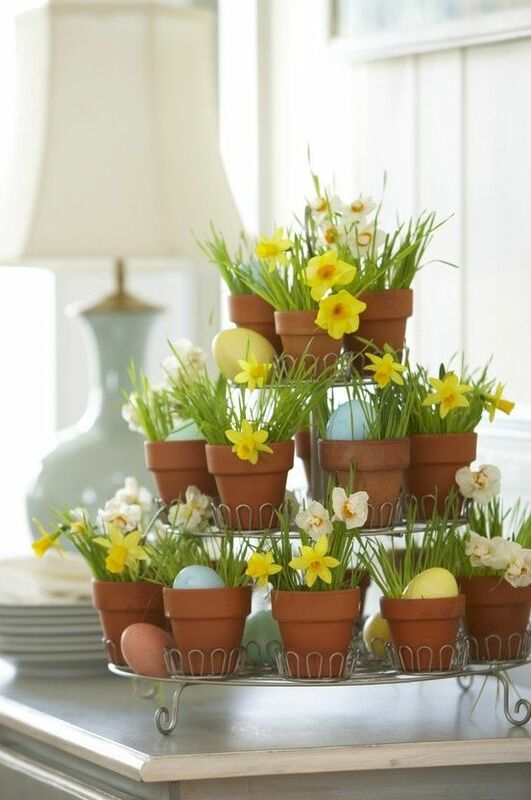 This is such a clever centerpiece. Either transplant grasses or grow seeds in the pots, add flowers and display. 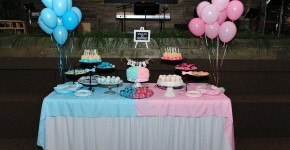 We especially like the three tiered display. 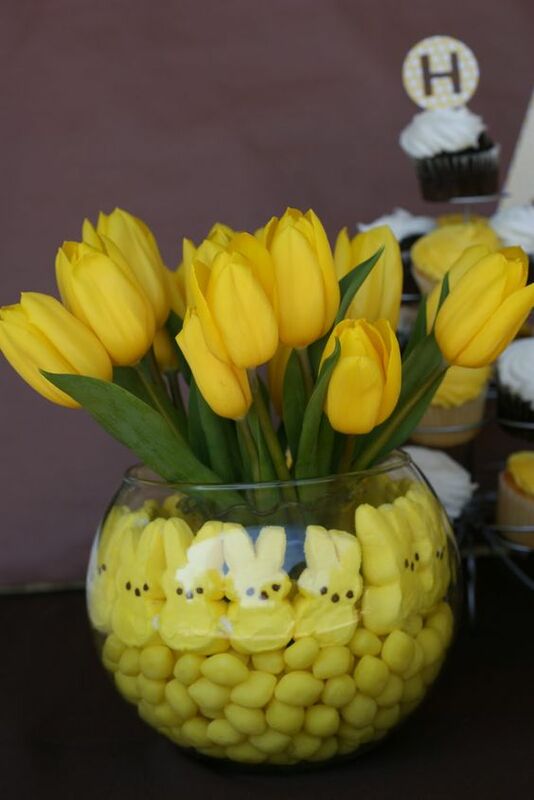 There are many versions of this cute Easter centerpiece. The yellow theme is definitely a sign of spring! 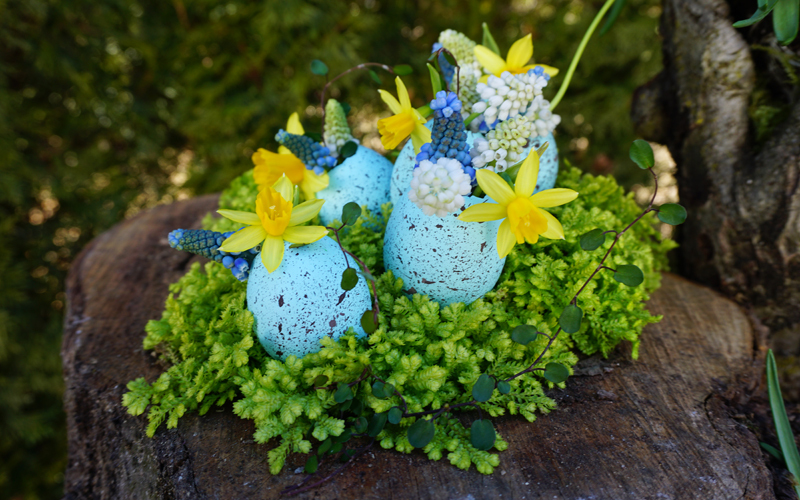 This adorable arrangement is so easy but definitely lets you know it’s Easter time! These two examples of eggshell flower vases are so pretty. And they’re much easier to do then you’d think.